The amalgamation of Bank of Baroda, Vijaya Bank and Dena Bank came into effect from Monday to create India’s second largest public sector bank. Since the time, the ‘in-principle’ approval to the amalgamation was granted by the boards of the three banks in end-September 2018, the process has been completed in record time. As per notification dated March 30, 2019 by Reserve Bank of India, all branches of Vijaya Bank and Dena Bank will function as branches of Bank of Baroda from April 1, 2019. Customers, including depositors of Vijaya Bank and Dena Bank will be treated as customers of Bank of Baroda with effect from said date. The consolidated bank will be the second largest public sector bank in the country. It will have a wider geographical reach with over 9,500 branches, more than 13,400 ATMs, more than 85,000 employees serving over 120 million customers and business mix of more than Rs 15 lakh crore with deposits and advances of over Rs 8.75 lakh crore, and Rs 6.25 lakh crore, respectively. The bank plans to build upon the strengths of the three banks. The complementary branch presence will add to the network in western and southern states – Maharashtra, Gujarat, Kerala, Tamil Nadu, Karnataka and Andhra Pradesh. The bank will have a 22 per cent market share in Gujarat and between 8 to 10 per cent market share in key states of Maharashtra, Karnataka, Rajasthan and Uttar Pradesh. The bank strongly believes in creating a strong brand connect with customers. It has rolled out various initiatives towards enhancing the aided and unaided recall of the brand. As per Interbrand –Best Indian Brands 2019, the brand of “Bank of Baroda” is ranked 23rd. The brand value will be further strengthened with brand power of Vijaya Bank and Dena Bank. 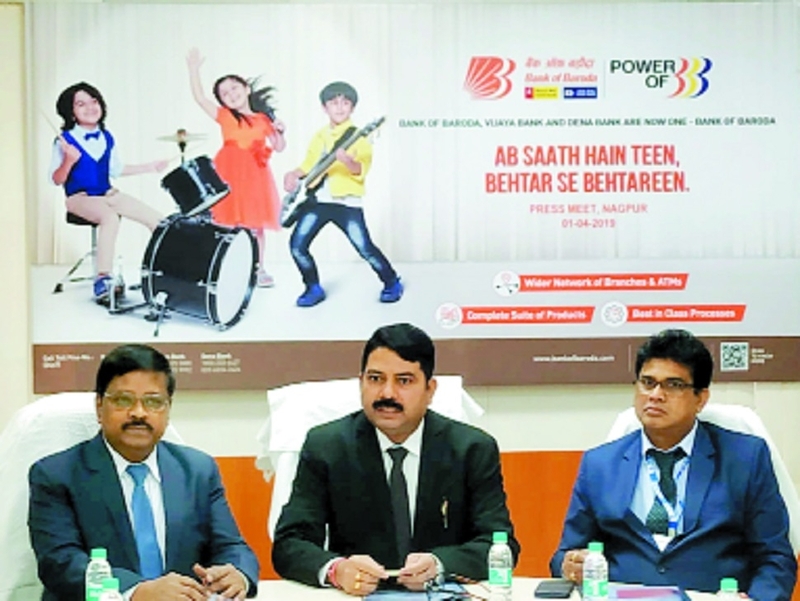 Commenting on the occasion, P S Jayakumar, MD and CEO, Bank of Baroda, said, “We are extremely pleased that the banks are coming together to create the second largest bank in terms of network and customer base. I thank Sankara Narayanan and Karnam Sekar, MD and CEOs of the two amalgamating banks, for facilitating the seamless and frictionless transition.” This information was disclosed by Rakesh Kumar, DGM, BoB; K C Kotyya, DGM, Vijaya Bank (now BoB) and VMNS Saibabu, Deputy General Manager, Dena Bank (now BoB) at the press meet.